Jazz bass supreme Marcus Miller's main man when it comes to picking an accomplice in the rhythm section has always been Poogie Bell - a funkier, groovier drummer would be hard to find on this here planet! The list of artists Poogie has worked with over the years reads like a who's who of the jazz/ soul and contemporary world, including: Marcus Miller (of course! ), Chaka Khan, Stanley Clarke, Roberta Flack, Erykah Badu, David Bowie, John Scofield, David Sanborn, Angelique Kidjo, Joe Sample, Al Jarreau, Vanessa Williams, Stanley Turrentine, Victor Wooten and Randy Crawford. 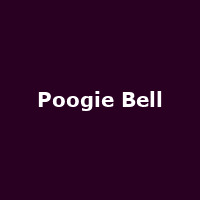 Over in the UK for the first time with his band (and sans monsieur Miller), Poogie Bell and his band play two dates at Charlie Wrights in London on 21st and 22nd July. Tickets are on sale now, costing just ten pounds plus booking - see you there!